Two important regulatory deadlines are coming up in December. 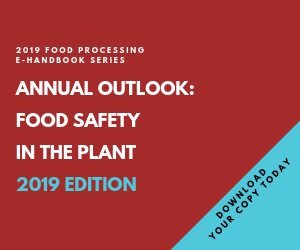 This E-Book will help explain what you need to do right now and in the coming months to meet the evolving requirements. Two important regulatory deadlines are coming up in December. The FDA issued changes to four previously proposed rules. Deadline for Comments is December 15, 2014. All facilities, domestic and foreign, that manufacture, process, pack or hold food for human or animal consumption in the U.S. must renew their FDA registration each even-numbered year between Oct. 1 and Dec. 31. Deadline for compliance: December 31, 2014.